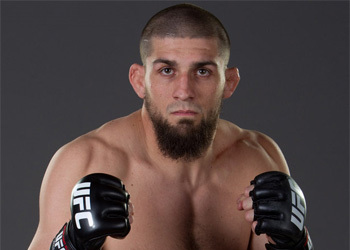 There’s no doubt that the feel good story from this season’s “The Ultimate Fighter” was that of Court McGee’s, but he recently admitted that he considered passing on the UFC. The Utah native had no issues opening up during his stint in the TUF house about how he nearly died from a heroin overdose. McGee was actually clinically dead, but paramedics were able to revive him. That’s when he knew he had to get his act together. When he got the call that he was going to be on the show, he wasn’t quite sure if he should put himself in a situation where drinking was so prevalent. “I questioned myself seriously before they called. I was putting myself in a situation where there would be alcohol, but there’s drugs and alcohol everywhere,” McGee told the media. From there he had to decide why he wanted to be on the show and if it was worth the risk of possibly relapsing. Now, McGee has an opportunity of a lifetime to earn a six-figure contract with the UFC and provide for his family at the same time.